This is the mini version of my sugar skulls, set of 6 pieces. It is about 2 X 3 inches. 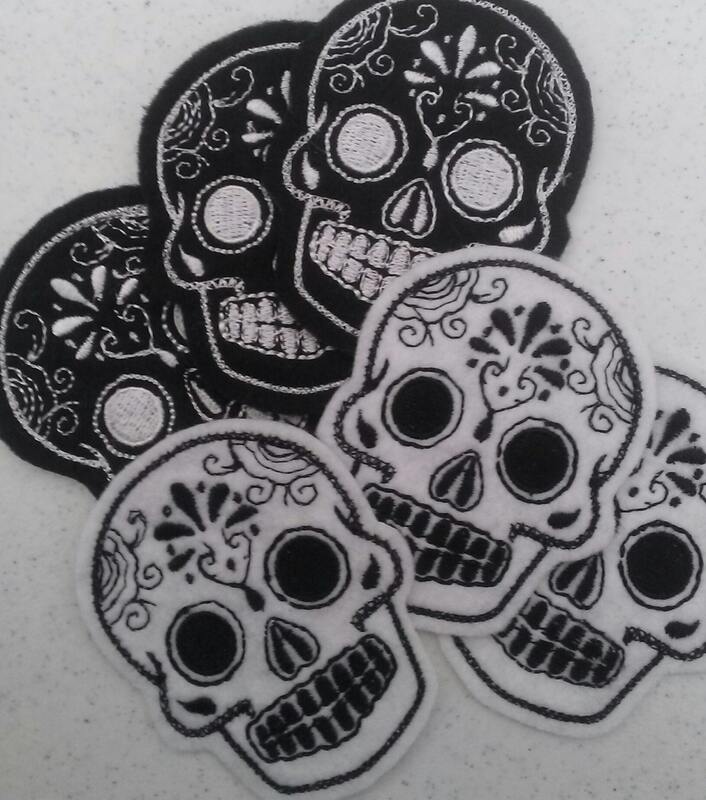 This is my second time ordering these patches and I love them! Last time I ordered a variety of colors, this time black and white. I love decorating various items with calaveras, so I will definitely be back to order more from this shop next October! I love these little sugar skulls! They're the perfect size for the coin purses I make!